Marguerite Dabaie's A Voyage to Panjikant - On Your Couch! 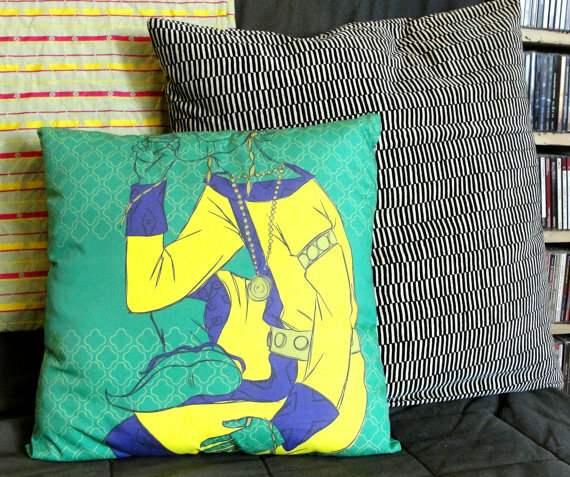 Strumpet contributor and recent MFA grad Marguerite Dabaie has just released a series of bright, intricately designed throw pillows themed around her amazing A Voyage to Panjikant web comics series. Check out Margo's Etsy, and don't forget to read A Voyage to Panjikant on Tumblr! It updates regularly, and there's lots of great process art and inspirational images to check out on the Tumblr, too. 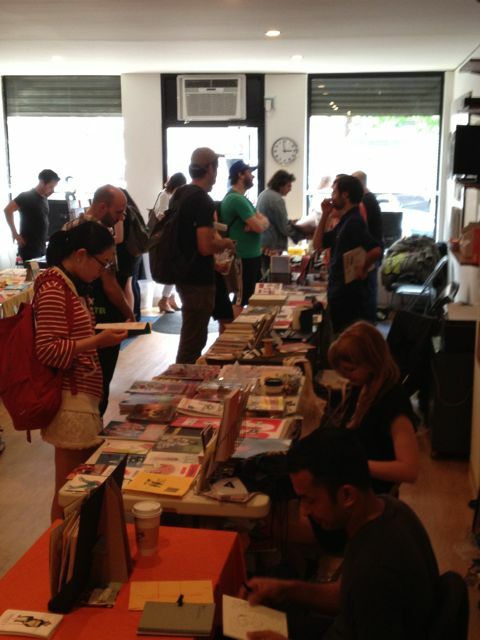 Strumpet at the First-ever Grand Comics Festival, Williamsburg! 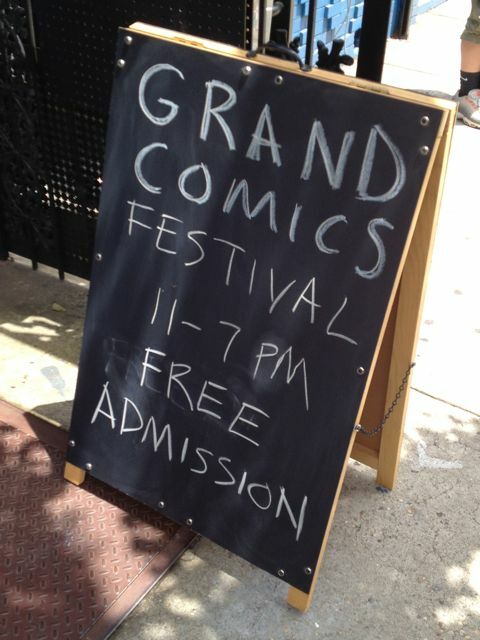 This weekend Editrix Ellen Lindner spent a great two days hanging out behind a table at the first-ever Grand Comics Festival, organized by artist and animator Pat Dorian. Hosted by Bird River Studios, a great Williamsburg maker desination - it was a great opportunity to meet some new folks - hello Molly Brooks, hello Keren Katz! - meet some web friends IRL - hello Colleen Frakes! - and chill with some of my best girls, like Robyn Chapman, Strumpet Marguerite Dabaie and Dre Grigoropol. I liked this festival a lot because it wasn't expensive to table at and it was also free to enter. Sounds pretty idyllic, right? And there wasn't any kind of catch - everyone left happy. The scene on Saturday....Sunday was a little quiet but that provided some great opportunities for trades, making new contacts and talking to folks who stopped by. It was cool to see Sara Varon, Dean Haspiel, Frank Reynoso, all the folks from Hang Dai studios - the lovely people behind Trip City - and so many more. 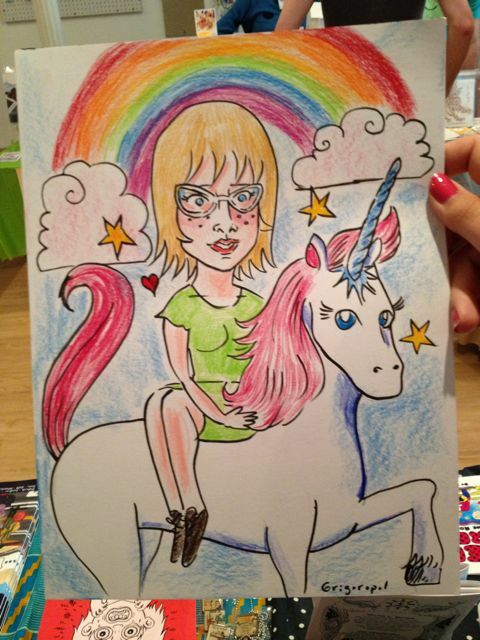 And did you know I ride unicorns? Dre Grigoropol made me this awesome sketch. It's been a little while since I've had the classic Williamsburg free pizza (usually comes free or a dollar with the price of a beer, in this case an excellently kept Blue Point IPA from Alligator Lounge.) So good! 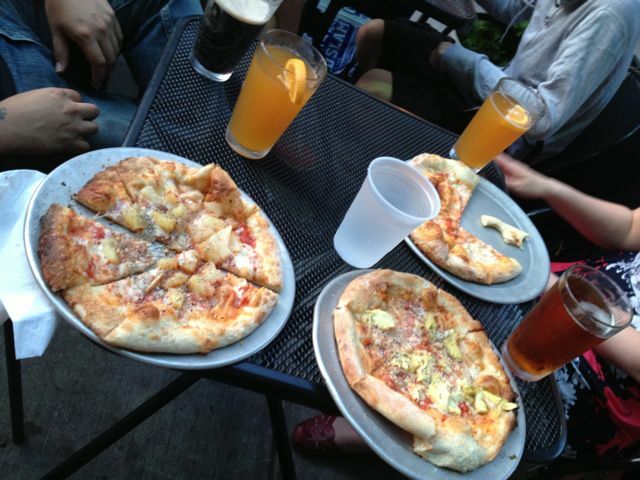 Man, if it wasn't for free pizza, Williamsburg would just shut down. 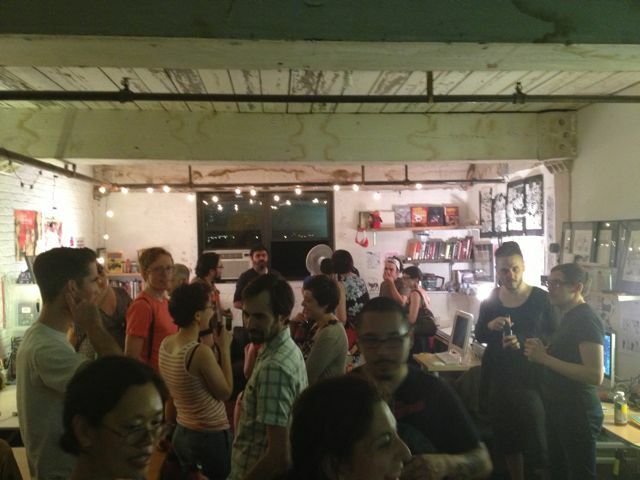 Enormous thanks to Jen Tong, C. M. Butzer, Aya Kakeda and all the folks at Odd Lot Studios in Greenpoint for an amazing after party. It was Jen's birthday, and her man Joel made cupcakes! Thanks for sharing, guys!!!! Such a great view of Manhattan, and so much fun talking trolleys, Risographs, the Jersey Shore and so much more. Thanks so much to Pat Dorian and all the folks at Bird River Studios who helped to make this such a great day.